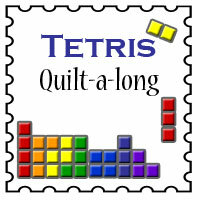 It's Week 4 of the Tetris Quilt-A-Long!!!! I am so excited that there are so many of you just anticipating this post all week long!!! But before we get to the pieces for week 4, Let's first announce a winner of the Week 3 giveaway who gets the Dear Mr. Claus Jelly Roll. 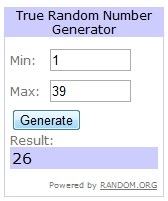 And Mr Random Generator says the winner is . . .#26 - Terri - Congrats! So now . . . on to Week 4!!! 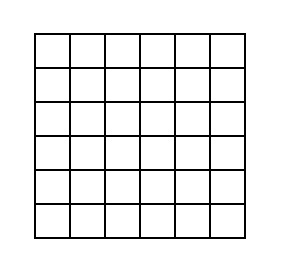 Here's my grid for this week. Now lay your fabric out to match your grid. I really liked how the red and pink squares turned out this week. And Don't forget to add your Week 4 Block to the Happy Quilting Quilt-A-Long Flickr group!!! I am having so much fun with this Quilt-A-Long and hope you are too!!! Get your Tetris Tuesday on!!! Great assortment this week! I'm super excited to get movin' on this! I love this block! We used five of the same fabrics this week! I think we've got some weird connection going on, lol. I love the fabric from the giveaway too!! Hurray for me! How lovely to win. Thank you for choosing me. I have to run off now and cut some more fabric. I thought I could keep up cutting a week ahead... and so I am off, but you knew that. I love your week four block, I agree the pink and red squares look great! Melissa, this is so so much fun. In a way I'm glad it's only 6 weeks and yet I'm not ready for it to end so soon either. Your blocks are looking great too.